With Solo: A Star Wars Story now in theaters we're about to enter an 18-month stretch with no new Star Wars movies, with Star Wars Episode IX not coming until December 2019. The extended break wasn't in the original plan (though given Solo's somewhat lackluster performance at the box office it may have been inevitable), as Episode IX was supposed to be released in May 2019. 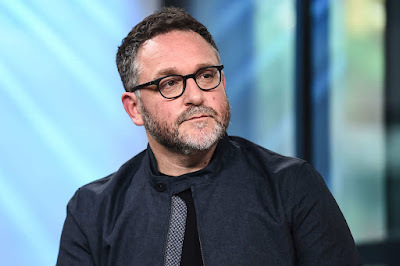 The release date was changed after director Colin Trevorrow left the project and The Force Awakens director JJ Abrams was brought in to replace him. "I don't want to talk too much about it because I don't want to affect the way that fans get to see these films. (...) I got the opportunity to tell a story that is a celebration of everything I believe in, I got to tell it to George Lucas and I got to tell it to Luke Skywalker, and those are experiences I will cherish for the rest of my life"
Obviously, it isn't likely that Trevorrow will ever go into the details about what specifically happened between him and Lucasfilm that led to his departure. Reports at the time indicated that Trevorrow and Lucasfilm clashed over script decisions, which ultimately resulted in them parting ways. Abrams was brought in shortly thereafter and began rewriting the script with Chris Terrio and the release date was moved to December 20th, 2019. I just realized that Trevorrow worked on his script with Jack Thorne. The same Jack Thorne that worked on the cursed Harry Potter and the Cursed Child. A work that showed little regard for the universe or characters. Glad he is out of the picture.